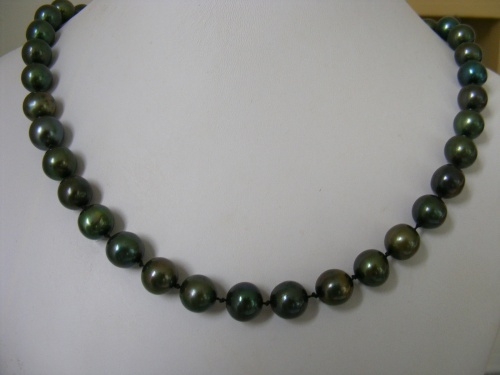 The pearls in this pieces are sea shell pearls of deep forest green. Each piece is knotted and very secure. Elegance is the only description I can give this piece with the rich green and the beautiful sterling silver clasp. Complimentary matching earrings are included.